Following the ban on use of information and communication technology (ICT) gadgets and other electronic devices on United Kingdom and United States-bound flights by the authorities, Turkish Airlines has provided an alternative way of making its passengers access state-of-the-art laptop onboard to continue with their business. 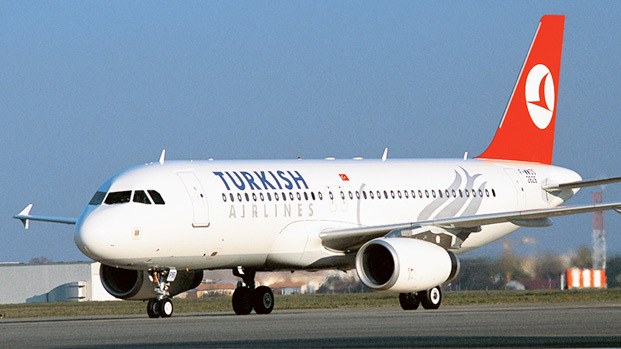 In effect, the service, which is yet another innovation from Turkish Airlines for its U.S. and U.K. bound flights, will be accessible to Nigerian passengers and other nationalities, who are business class (BC) passengers of the flights. In a statement, the airline said, as the airline that flies to the most countries of the world, it continues to develop new solutions for its passengers with respect to the electronics ban, applied on US and UK-bound flights. “The national flag carrier has now started to offer laptops for its business class passengers of U.S. bound flights as from today. It will also launch the same practice for its U.K. bound business class passengers as of 12th May, 2017,” the statement said. By the new service, Turkish Airlines said those passengers will be able to uninterruptedly be taken up with their personal things to do on their laptops above the clouds, while they can experience the Planet, seamless in-flight entertainment system of Turkish Airlines, on the other side. “Within the context of this new practice, those passengers who deliver their personal laptops to the authorized TK staff before their flight, can request a laptop from the cabin crew in order to follow their business or personal processes on-board during the flight. “Those laptops, that have the feature of being a tablet after being folded and as well as a touchscreen property, will be offered through a high security system which protect the personal information/works of the passengers by automatically and permanently deleting them all from the system when the notebook computer having shut down,” the airline said. However, “if those passengers who wish to make a copy from those personal works to an USB memory stick, can easily do that,” said the statement.